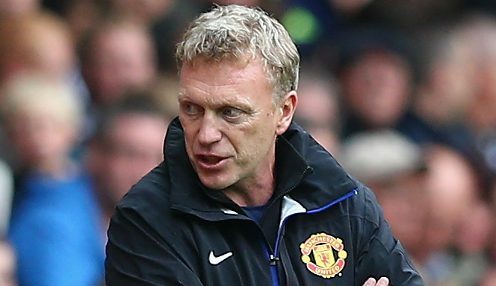 Manager David Moyes has ordered his Manchester United players not to come away from Bayer Leverkusen with any regrets. The Old Trafford chief admits to feeling a little uncomfortable that his team have still not secured qualification for next stage of the Champions League. A victory at Leverkusen will set the seal, however, Sami Hyypia's team boast a formidable home record. They have won eight and drawn one in all competitions this season and boast a Champions League record of eight successive victories on home soil. And United will again be without defender Nemanja Vidic, who was left behind in Manchester to continue his recuperation from a bout of concussion. Midfielder Tom Cleverley is set to partner Marouane Fellaini in the Red Devils' engine room, with Moyes determined to be on the front foot. The former Everton boss said: "I came away from our last game against Real Sociedad feeling disappointed, as that was an opportunity to be in a position where we would now be more comfortable. "We know this game with Leverkusen will be really tough and what lies ahead for us." United can be backed at 1/1 to win in Leverkusen tonight, with the hosts 1/1 to triumph by the only goal of the game, while Moyes' men are 1/1 to win the Champions League this season.